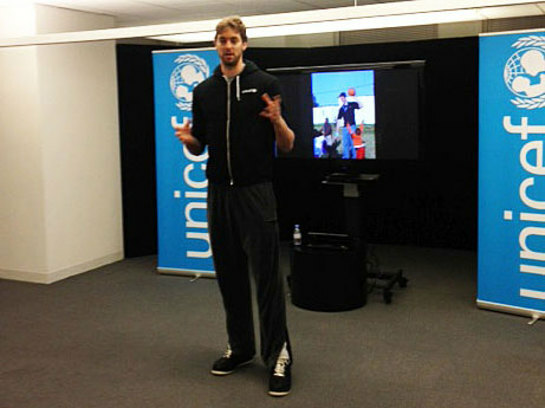 UNICEF Ambassador Pau Gasol met with U.S. Fund for UNICEF supporters as a reminder that millions of children around the world need our help. From UNICEFUSA.org: "Pau, a global basketball star with the Los Angeles Lakers, was in town for a game against the New York Knicks. 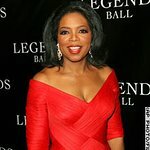 U.S. Fund President and CEO Caryl Stern joined Pau at the event, which was hosted by the U.S. Fund’s New York Philanthropic Advisory Board Chair, David Sable. “Pau, who has been working with UNICEF for ten years, discussed his recent field visit to Chad] (a trip he made after winning a silver medal with Spain in the London Olympics), where he experienced firsthand the efforts UNICEF is undertaking to combat the nutritional crisis in Africa’s Sahel region. “Pau helped raise much needed attention to the situation, and the talk was well-timed: UNICEF just announced that a major crisis was averted in the region, though work still needs to be done. Pau’s efforts on behalf of UNICEF extend to all reaches of the globe, from advocacy and fundraising assistance in Spain and the U.S., to participating in UNICEF field programs (he also described trips he made to South Africa, Angola and Ethiopia). One of the evening’s highlights came when the host’s fellow board member David Kleinhandler pledged $100 to the U.S. Fund for each rebound Pau grabs the rest of the season.